You might remember the H&H Happy Hour cocktail series I wrote for Hills and Heights where I concocted this Blackberry Herb Cocktail — which turned out amazing! 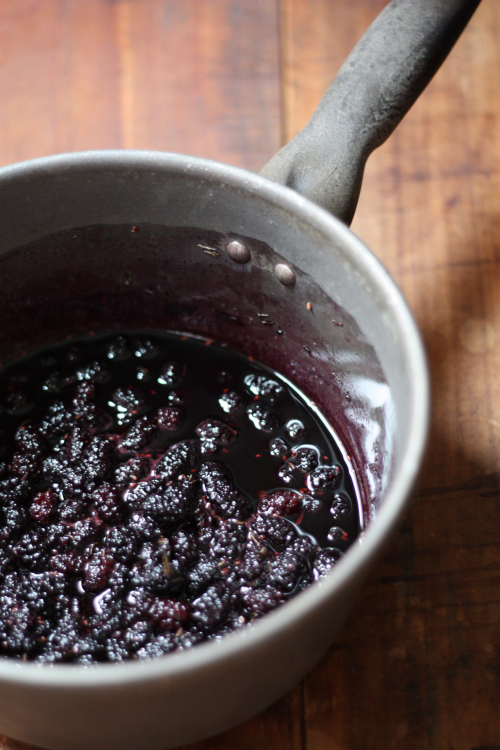 This basic simple syrup recipe came in handy when I came across some wild urban mulberries that I picked over the weekend — I just subbed in the mulberries where blackberries would have been used. 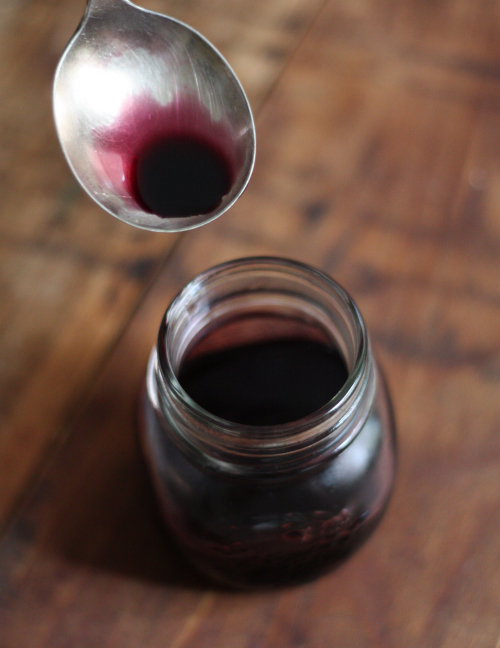 This simple syrup and packed with seasonal sweet flavor and can be used for cocktails, drizzled over ice cream or your favorite breakfast pancakes! 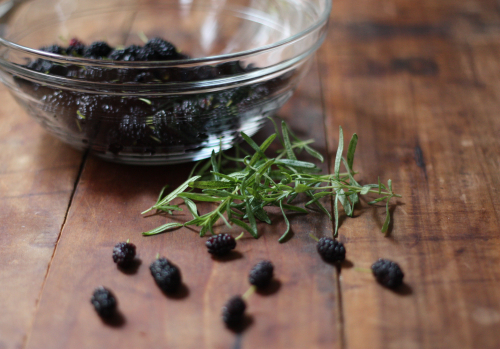 Once mulberries, sugar, and rosemary are combined in your pot, add water and simmer on a stove top for about 20-25 minutes. 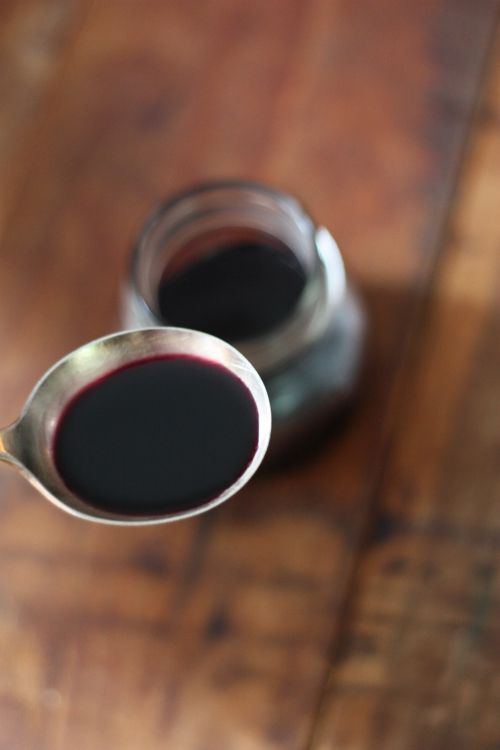 Strain the liquids through a fine sieve until you have just syrup in the bowl. Do not mash down on the solids. E.A.T. tip: This liquid will stain just about anything, including plastic, so make sure you use glass bowls or containers for storage. 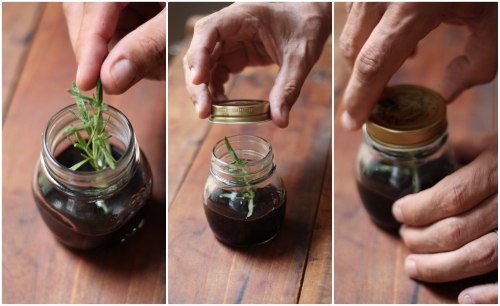 Pour your deep purple liquid gold into a container, top with a small sprig of fresh rosemary and place in the fridge to get cold before using. Syrup will keep fresh for at least a full week if stored in the fridge, so maybe you use it over ice cream for dinner and mix into your favorite cocktail the next weekend! Incidentally, these were picked off of Mulberry street here in the fan in RVA! Yes, we look forward to these every year and could not imagine not having one! I have a mulberry tree in my garden and never knew how to use the berries - but now! There are quite a few of those trees in Provence as many centuries ago there used to be lots of silkworm farms here and silkworms feed on mulberry leaves. Actually there is a very beautiful movie called "Silk" that tells the history of how the silkworms came to Provence. A real masterpiece, well worth watching. I will have to look that movie up! So lucky to have a tree right in your backyard! What a great idea! This sounds awesome. 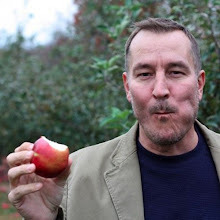 Thanks for the recipe -- am adding it to my stash! I've been picking mulberries from the tree in the back yard for two weeks. I made jam (1/4 cup sugar, 1 1/2 cup berries, 1/4 cup water, simmer 5 minutes, add 2 tablespoons cornstarch) with one batch. 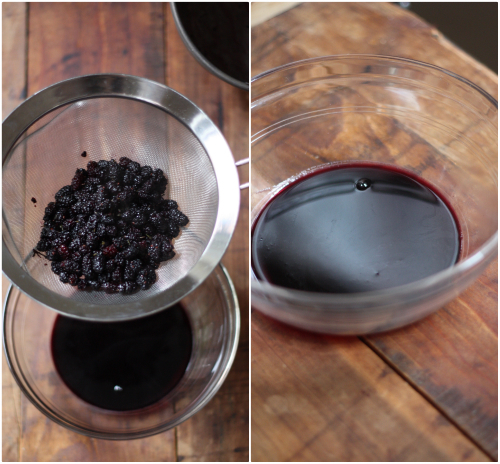 Plan to freeze the past few days' worth of berries for future use. Awesome and so many uses! Thanks for sharing yours! Have a mulberry tree I planted a few years ago. 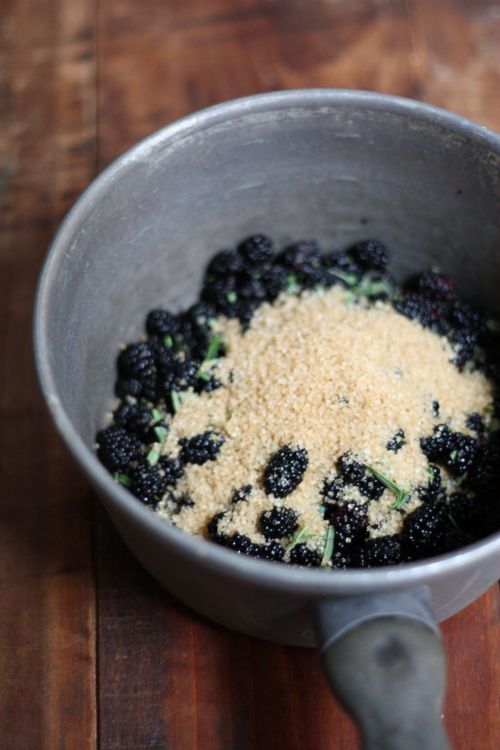 Finally have some mulberries-gonna try this recipe. Thanks. Awesome Lisa, cannot wait to hear how it turns out! I'm happy I found this article, trying out the recipe now, especially like the rosemary idea! I shook mu mulberries out of the tree like one would harvest olives. Some of the berries were not quite ripe or prime, but I rinsed and sorted them reasonably well! And plan to get another batch for mead this week.